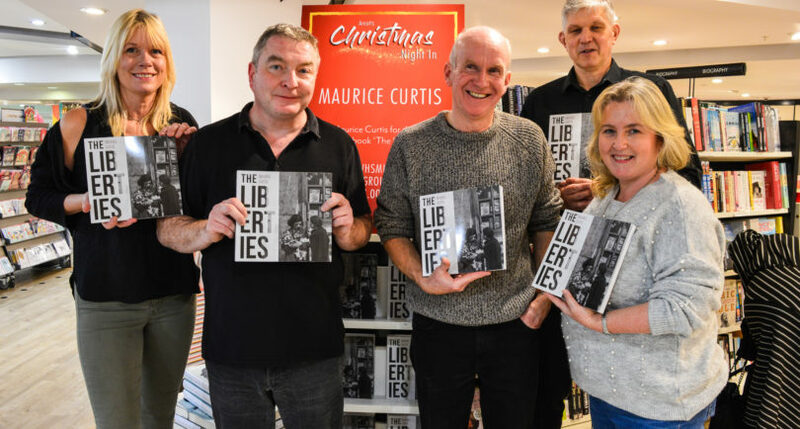 Maurice Curtis at the launch of his new book The Liberties. 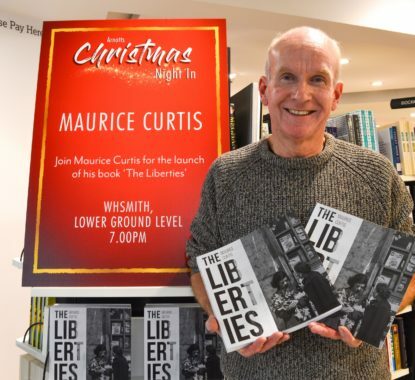 Curtis was speaking at the launch of his new book The Liberties, at WHSmith in Arnotts in Dublin last night. The Liberties takes the reader on a tour of this area of Dublin 8, with the author guiding you through the places and people that have contributed to the neighbourhood’s lasting legacy. “Some of the most important events in Irish history took place in the Liberties. 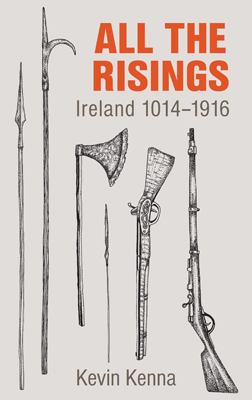 Before Norman times, during Norman Times, the Reformation, the Hugenots, Penal Times, Catholic Emancipation, the 1916 Rising. So, if you want to understand Dublin history, Irish history, then the Liberties has the answers to all those questions,” he says. “But another special aspect to the Liberties is that some of the most important businesses in Ireland to this day – Jacobs biscuits, Guinness brewery, Jamesons, Powers – were based in the Liberties and gave jobs to thousands of people. “But also in literature, in culture, in music – the Dubliners, the Chieftans, the Wolf Tones, the Dublin City Ramblers, all have roots in the Liberties. In the area of literature, there is Jonathan Swift and a whole list of authors and writers who have roots in the Liberties.